We all have some memory of Vicks from our childhood when falling sick would mean that our mothers would douse us with this sticky ointment. The instant relief one felt after rubbing it on a blocked nose or a congested chest was, and still is, like no other. But did you know that this super rub can be used for other health benefits as well? 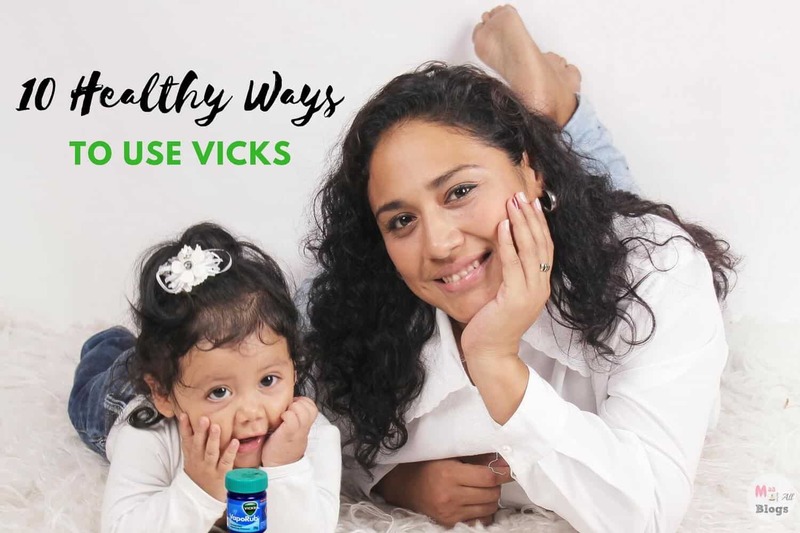 Besides using Vicks for a cough, there are so many benefits of Vicks for your health. Let’s look at what other uses does this wonderful ointment has. You must keep in mind that using Vicks VapoRub on babies can be very harmful to their health. But there is another version of the VapoRub that is especially for babies called Vicks Baby Balsam. This will effectively take care of your baby’s cough. Cats really hate the smell of Vicks, so if you want your cat to stay away from a certain area just cover the area with it and they will remain far away. Do you have to get rid of a pimple which decided to pop up one night before your date with that hot guy? Using Vicks for pimples dries them up and helps you get clearer skin fast. But make sure not to over use it. Keep this method only for emergencies. For other times, you can easily use sandalwood face pack for pimples and acne. Mosquitos have no actual role in the world except to make our lives a living hell. When all techniques to keep mosquitos and flies away from you have failed to work, try applying a little bit of Vicks. It’ll keep them away. Got a fresh bruise? Apply Vicks Vaporub to it before it’s too late and it starts changing colour. It’ll help the bruise heal faster than it would have normally. Cracked heels are the bane of our existence. Instead of going for an expensive pedicure, just rub your heels with a little Vicks at night and cover your feet with socks. Repeat the same procedure for a few days. Voila! Your cracked heels aren’t so cracked anymore. If you have an unexplainable ear ache and don’t have time to go see a doctor, apply some VapoRub on a cotton ball and insert in your ear for a few hours. Your ache will eventually come down. If the pain persists, you need to show it to a doctor asap. If you’ve got a painful paper cut or a small wound, dab a little Vicks on it. It will cure itself in no time relieving you of the pain. Had a strenuous workout or pulled a muscle? Don’t worry, Vicks is here to save the day. Massage some ointment on the affected area and you’ll be relieved of your sore muscles in a while. Warts are small fleshy bumps on your skin. The menthol and eucalyptus present in Vicks help them shrink and dry out within a few days. Leave it on your skin over night for a week until it falls off. I’m sure you’re surprised by the many Vicks VapoRub uses. Now use these simple but helpful tricks the next time you’re stuck in a dilemma that can be fixed by a simple rub! Find more lifestyle and health tips for an easy daily life at Reward Me.